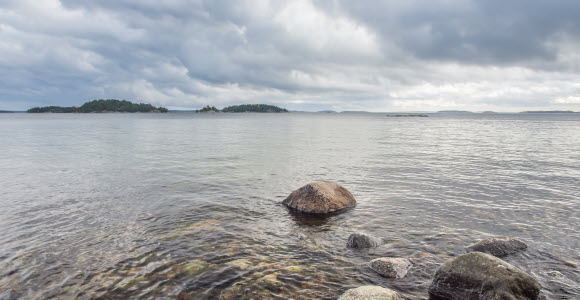 On Thursday the Nordic Investment Bank for the first time issued a “blue bond”, with funding earmarked for projects focused on reducing pollution and protecting the sensitive marine environment in the Baltic Sea. SEB arranged the issue and served as adviser. “Strongly supported by the investor society we have been capable to execute a transaction of SEK 2 billion kronor to support water projects around the Baltic Sea and along the Nordic coastline”, says SEB’s Christopher Flensborg, head of Climate & Sustainable Finance in division Large Corporates & Financial Institutions. The new Nordic-Baltic Blue Bond is targeted at investors who want to help protect the sensitive marine environment in the Baltic Sea. The money will be used for projects related to sewage management, reducing water pollution and water-related measures coupled to climate change. One of the projects that will receive funding from the bond is Nya Slussen in Stockholm, which will include investments in clean transport solutions as well as new floodgates to protect against rising sea levels or extreme weather. The Nordic Investment Bank has long sought an opportunity to issue a “blue bond” directly tied to water-related projects. This has now been made possible thanks to the development of a quality-assured environmental framework coupled to a secondary assessment by the independent research institute Cicero. “Improving the environment is one of the pillars in our mandate and with our new framework in place we felt we felt that now is a good time to come to the market,” says Lars Eibeholm, Head of Treasury at the Nordic Investment Bank. SEB, which for the past ten years has been involved in developing the financial market for green bonds, worked together with the Nordic Investment Bank in connection with the issuance. The Nordic Investment Bank is a financial institution owned by its eight member-countries Denmark, Estonia, Finland, Iceland, Latvia, Lithuania, Norway and Sweden. The bank funds private and public projects in and outside of the member countries.